In this PandaHall tutorial, you will learn how to make a felt diy haversack, it could be very practical as well as a lovely hanging accessory. 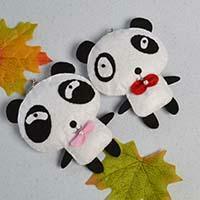 Panda fans may like today's handmade white and black felt panda hanging ornaments. Follow me to see how to make the felt panda hanging ornaments. Wanna DIY some bead strawberry ornaments? 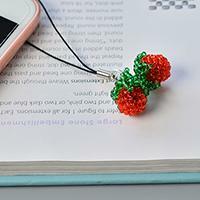 In this Pandahall tutorial, you can learn how to make red seed bead strawberry phone hanging ornaments. 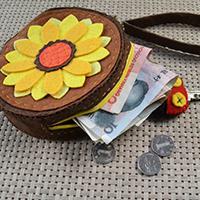 In this easy Pandahall tutorial, I'll show you how to make a sunflower change felt purse. Hope you like this sunflower purse. 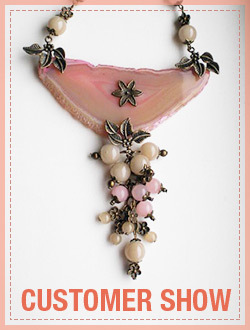 Wanna try hanging accessory? 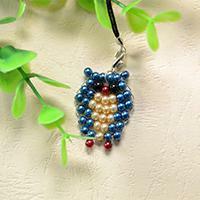 If yes, today’s Pandahall tutorial on how to make fresh glass beads hanging accessory really deserves your attention! Wanna decorate your home with some DIY heart hanging ornaments? 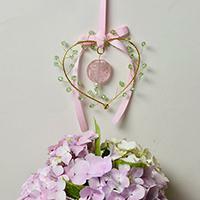 Maybe you can try the easy heart wire wrapped hanging ornaments below. 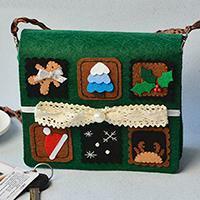 Looking for handmade purse designs? What about this handmade purple felt purse? 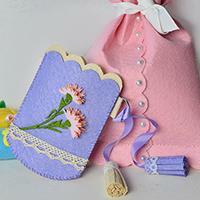 Just read the following Pandahall tutorial to see how to make this purple felt purse or coin bag. 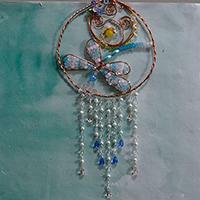 Are you seeking for easy craft inspirations for kids? 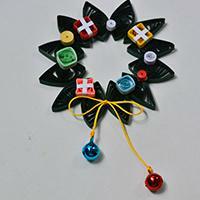 Here is a fun family craft recommended – chenille stem ball hanging ornament. Have a check. In this Pandahall article, you can see a yellow thread woven fish hanging ornament. 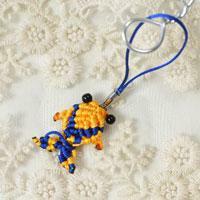 The following detailed tutorial will show you how to make the yellow thread woven fish hanging ornament. 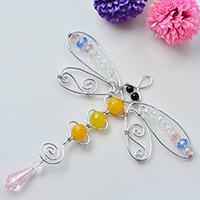 Do you like dragonfly? 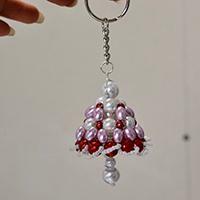 In this Pandahall tutorial, you can see a detailed tutorial on how to make a beaded dragonfly aeolian bell hanging ornament. 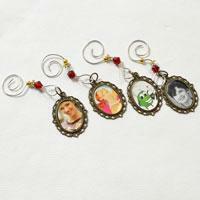 Glass cabochon settings are really popular in personalized jewelry making. 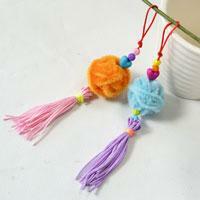 This easy DIY project is on making Tibetan style hanging ornament, hope you enjoy it! Do you need hanging ornaments? If yes, look here! Today, I will share you a Pandahall tutorial on how to make cute owl pearl beads hanging ornaments for kids! Wanna make some easy and nice crafts for home decoration? 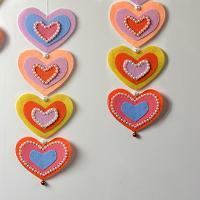 Today I will show you how to make pretty felt heart ornaments with pearl decorated. 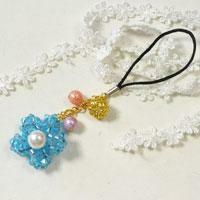 Love beaded keychains? If yes, I’m pretty happy to share you a Pandahall tutorial on how to make easy bell kechains with pearl beads! Hope you like it. Do you like DIY beaded snowflake ornaments? 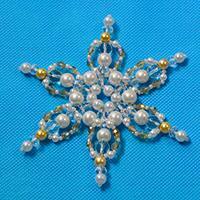 In this article, you can learn how to make a pearl beaded snowflake ornament. Hope you like the pearl snowflakes. Searching for New Year decoration crafts? 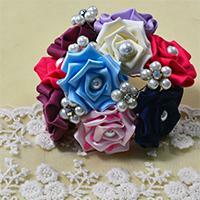 This DIY New Year quilling paper flower wreath will be a good choice for you. Follow me to see how to make such a quilling paper flower wreath. wanna make something special? 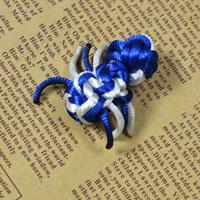 In today's Pandahall tutorial, you will learn how to make a spider decoration, which is pretty cute and easy. Hope you like it.